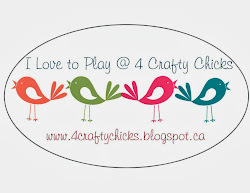 over on the CropStop blog today! especially when paired with Watercolor Paper! I want to share one more variation using the distress inks. For this card I inked my watercolor paper with Fired Brick distress ink and the misted it with water using the Mini Misters. Next I heat set it using my heat gun. 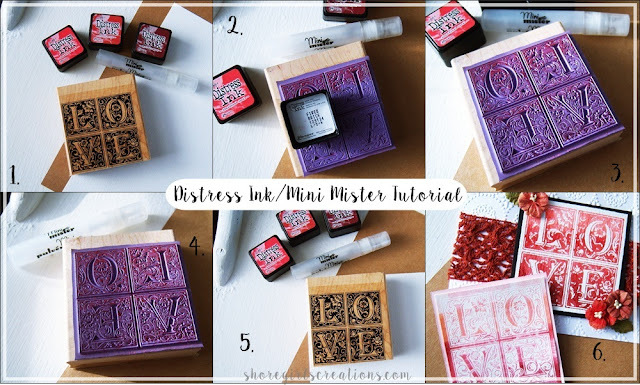 After the paper was completely dry, I inked my Love stamp with Versamark Watermark ink and stamped it on the paper before adding black embossing powder and heat setting again. I layered the stamped piece on white cardstock cut with the Scalloped Square Nestabilities (Spellbinders) and layered it over a die cut from Creative Expressions (Petite Striplet - Jubilee). The black cardstock is embossed with the Circular Grid Anna Griffin Embossing Folder. Here's a side by side comparison for you: 1. Watercolor Paper vs. Regular Cardstock 2. Regular Cardstock with different ink colors and colored cardstock 3. Heavy on the water 4. Light on the water 5. Embossing over watercolor 6. 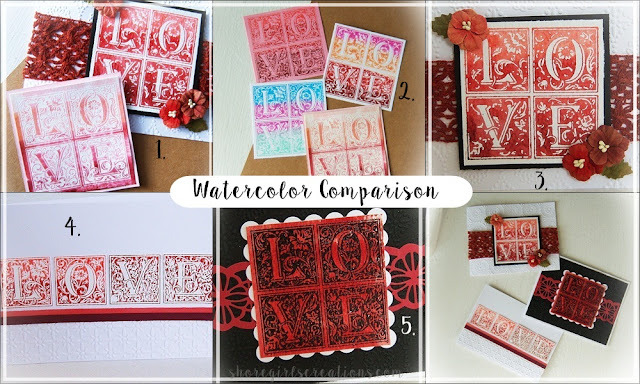 One stamp 3 ways! a little velvet flower, and tiny pearl! I hope you've enjoyed this little watercoloring tutorial! I'd love to see what you create with these techniques so stop by the CURRENT CHALLENGE and link up! Beautiful job on all of these, I too love the distress inks for watercoloring, love the beautiful shades and results you got with the misting of the colors! I loved seeing all the different effects you achieved with one stamp. Great cards! Thanks for joining us at Really Reasonable Ribbon for the Pink and/or Red Challenge! Happy Valentine's Day! These are gorgeous! I love your how-to boxes and all the variations! So glad you linked up at Really Reasonable Ribbon so I could see these. Gorgeous!!! I love that beautiful stamp and embossing folder!